Could My Client, Louise Selby, Design Kate Middleton's Wedding Dress? Could My Client, Louise Selby, Design Kate Middleton’s Wedding Dress? Kate Middleton’s wedding dress – could Louise Selby be the designer? 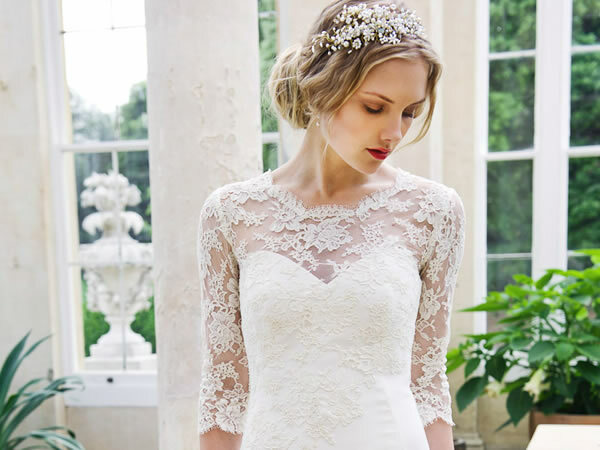 It’s being predicted that Kate Middleton will wear a demure, high necked, lace couture gown – all those boxes are ticked perfectly by award-winning wedding designer Louise Selby. Louise’s stylish studio is in Kew: familiar territory for the bride-to-be, following on from her time at Jigsaw’s head office! Louise has recently revamped her website and content: I also worked with her on creating a short film for a behind-the-scenes look at her bespoke dresses and latest shoot. So, fingers crossed and breath held for the lovely Louise! Written by Caroline Gibson, freelance copywriter and fashion lover. This entry was posted in Copywriting tips on November 17, 2010 by Caroline Gibson.